I’m fond of pointing out that Lovecraft fans are, of course, also horror fans. And given that I love old-time radio, I thought it would interesting to list what I think are the scariest old-time radio shows of all time. I’m not going to give a plot synopsis for these shows, because it’s best to listen without knowing anything about them… except to say that “Northern Lights” has a nice element of cosmic horror. This is great! I work from home, and when things are slow, I listen to your Ezine Youtube broadcasts. These will provide some fascinating listening, when I’ve run out of the weekend broadcasts! John, thanks for letting me know you listen to the Youtube broadcasts when work is slow… hearing things like that is very encouraging for me. 🙂 I think you’ll like the radio shows. Let me know! These are great, there are some things that just work so well on radio. I love visiting this site, not only for the fiction in the magazine, but for great updates like these. Jason: Thank you very much for the comment… especially because I honestly considered not posting this entry. It’s not Lovecraftian, except for the “Northern Lights” episode, so I didn’t know if people would be interested. Great to know that you guys are. I’d agree this was a great thing to post. 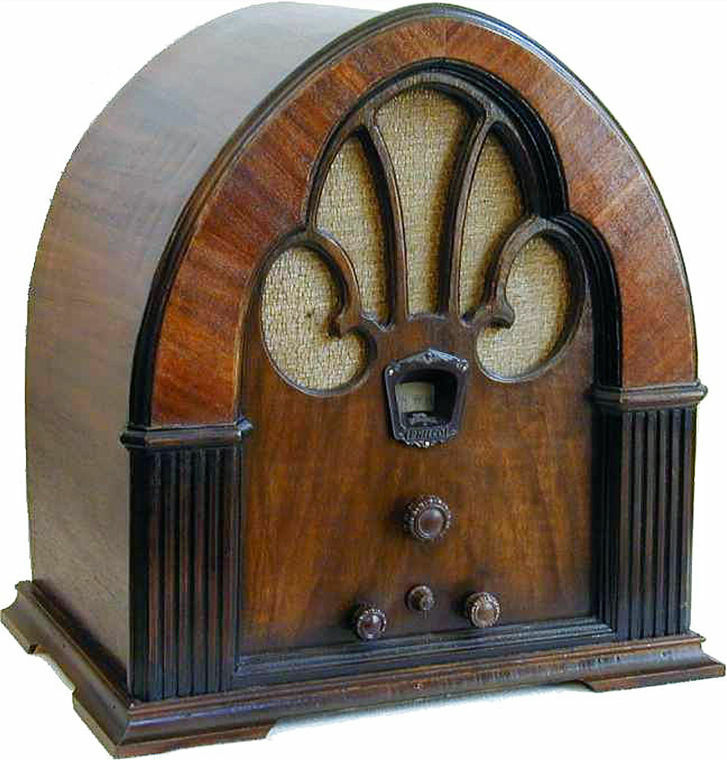 I absolutely love the old radio shows. I’ve heard a lot of the Suspense shows, and there’s definitely some great ones. I would also like to recommend the Suspense adaptation of “The Yellow Wallpaper” by Charlotte Perkins Gilman. One of the creepiest bits of radio I’ve heard. Thanks, Mike, I don’t think I’ve heard that one! I’ll listen to it today while I work. shows from amazon and enjoy them very much (also being a Vincent Price fan helped). I find the best way to listen is alone at night, if possible. Porch light best I’ve heard in awhile.Very scary!